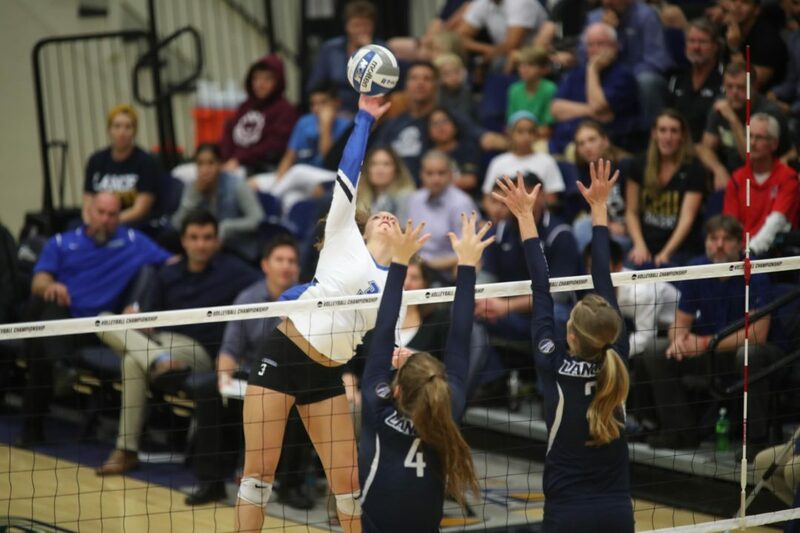 Cal State San Bernardino strengthened its hold on the AVCA Division II Poll top ranking with a pair of wins this weekend against UC San Diego (3-2) and Cal State San Marcos (3-0). The Coyotes, who are on a 14-match win streak and 18-1 overall, collected 35 of 47 1st place votes and 1,170 points in Week 7 rankings. Northern State held steady at No. 2, securing 8 1st place votes and 1,121 points this week. The Wolves stand at 18-1 overall and are on a 4-match win streak following victories over Upper Iowa (3-1) and Winona State (3-2). Nebraska-Kearney (2 1st place votes, 1,081 points) made the jump from 4th to 3rd with wins in straight sets against Lindenwood and Central Missouri last week. The Lopers have earned a nation-leading 22 victories and are riding a 9-match win streak. Concordia-St. Paul (993 points) and Ferris State (1 1st place vote, 962 points) round out the Top 5 this week in 4th and 5th, respectively. Washburn, which checks in at No. 9, received the final 1st place vote and 822 points. The Ichabod are the last remaining undefeated team in the Top 25 with a 21-0 mark. This week’s poll release saw no newcomers and no programs fell out. 6 teams mentioned on only one ballot for a total of 38 combined points.